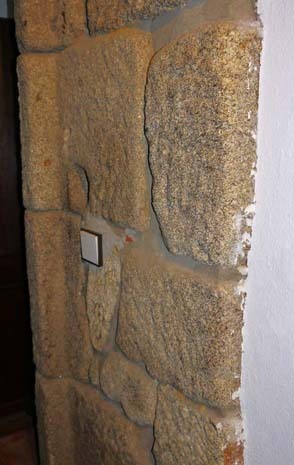 The stone walls of our bedroom in the Casa do Outeiro are extraordinarily thick. What do you think of this wall? It's not an external structure as you might expect. It's the wall between our bedroom and a corridor. There's no obvious reason why it should be so massive so I asked Dona Ana about it. Our room, it seems, is in the oldest part of the house. Just how old it is, no one knows but it certainly predates the wonderful 16th century kitchen which I showed you in my previous post 'Hospitality and History at the Casa do Outeiro'. "If you look carefully," says Dona Ana, "you can see that your room is the bottom story of a torreão. The rest of the house was built around it." So what is a torreão? A tower is a 'torre'. A big, strong, defensive tower is a torreão. Dona Ana told me that there is a story behind the torreões (plural of torreão) that you can see dotted here and there in the Minho. This is what she told me. 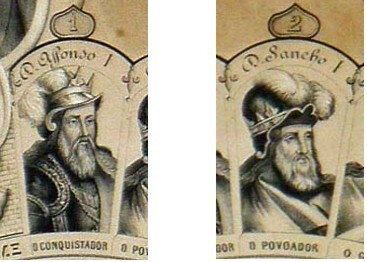 Portugal as a country began with Dom Afonso I, often referred to as Afonso Henriques – Afonso son of Henry. Dom Afonso bears the nickname 'o Consquistador' or 'o Fundador'. In English this is the Conqueror or the Founder, rather like the first Norman King of England, William I, who is always known as William the Conqueror. Dom Afonso I wrested what was just the county of Portugal from his mother at the battle of São Mamede and then, over many years, fought his way south to Lisbon, more than doubling the size of his territory. He proclaimed himself king and in 1179 this claim was recognised by Pope Alexander III. Portugal had been born. A large territory like this needed defending and so, according to Dona Ana, Afonso's son Sancho I, 'o Povoador' – the Populator – announced that anyone who wished to keep his lands must either live on them or build a torreão, a defensive tower which could house troops, serve as a dungeon for enemies and be used for storage of food and weapons. While it is unlikely than any of the torreões we see today go back to the 12th century, many are thought to date from some time in the 1400s. If you look carefully you can still see these ancient torreões. Sometimes they can be found standing almost alone like this one at Refoios do Lima. One of the owners built a small house next to it but essentially the fortified tower stands free and strong within its surrounding lands. 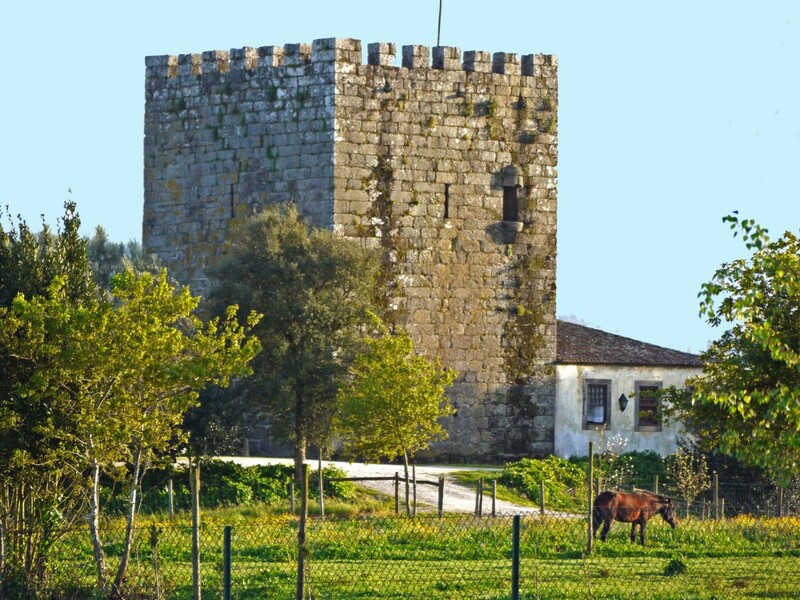 At other times the torreão has been incorporated into a grand building such as the Solar de Bertiandos on the road to Viana do Castelo, not far from Ponte de Lima. Here the torreão stands four square in the centre of the manor house; two wings were added to the tower in the 17th century. If it had not been for Dom Afonso I's desire to be King of his own country and Dom Sancho I's struggle to populate and defend his territory, these distinctive towers might never have been built and we would have lost a reminder of how the early warrior monarchs created a kingdom from what was then just a disparate group of Iberian dukedoms. Do you know of any more torreões? 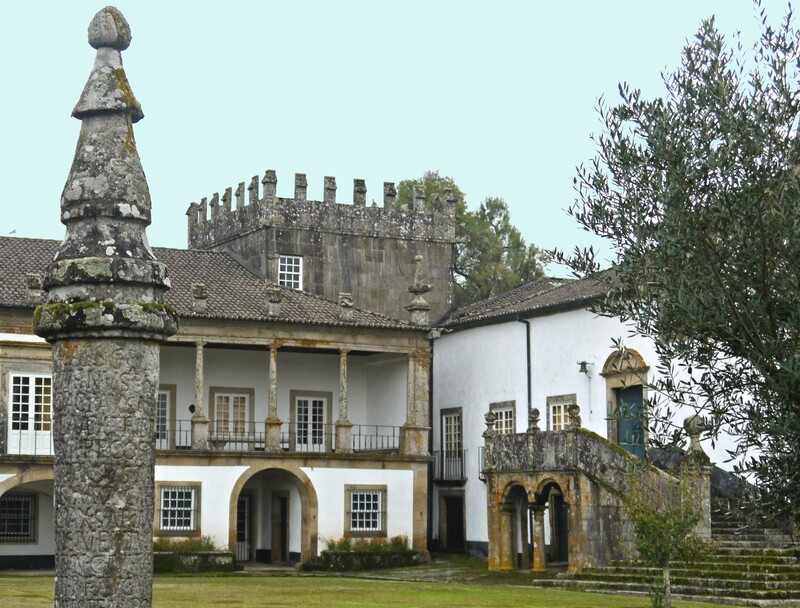 What about curious features of the many wonderful manor houses in Portugal? Please tell us if you do.